What appeared to be a fledgling house wren signing for supper on a summer afternoon. Hey Mom…where’s the grubs. 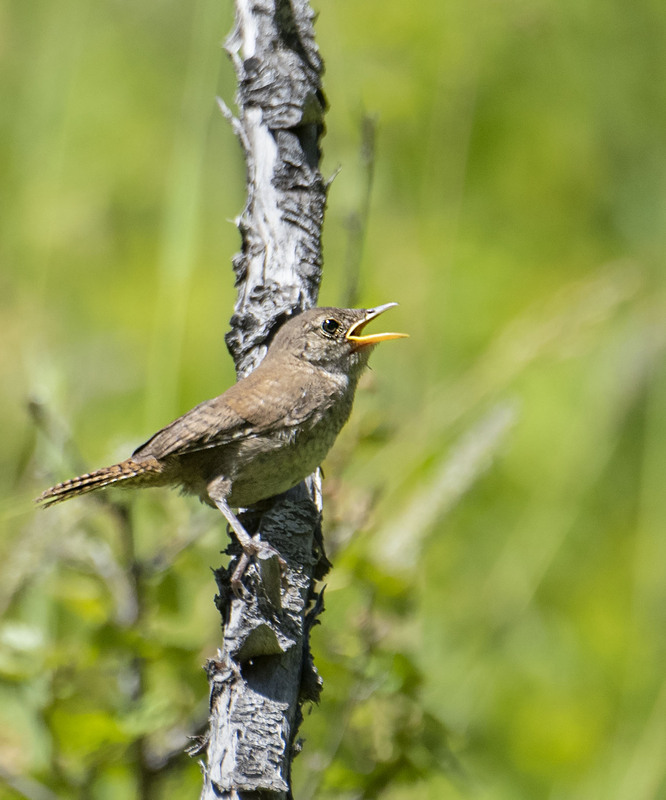 Perfectly charming photo of this juvenile wren trying out the vocal chords, Mike. Thanks Jet, she was really working on her song that morning and it was a pleasure to just stand and watch her singing away. Hope you have a great weekend.